Topics: Goal, Academic Standards, Teaching Strategies, Ait Committee, Faculty, and Students. Its 2 nameservers are ns2.hostmonster.com, and ns1.hostmonster.com. American Registry For Internet Numbers (Virginia, Chantilly) is the location of the Apache server. 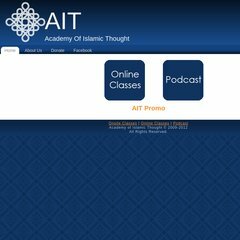 Academyofislamicthought.org's server IP number is 74.220.215.76.